Carol Lavell with Gifted Grant Recipient, Carolyn Desnoyer. Photo courtesy of Jennifer Bryant, USDF Connection Editor. My horse life has been pretty exciting lately. 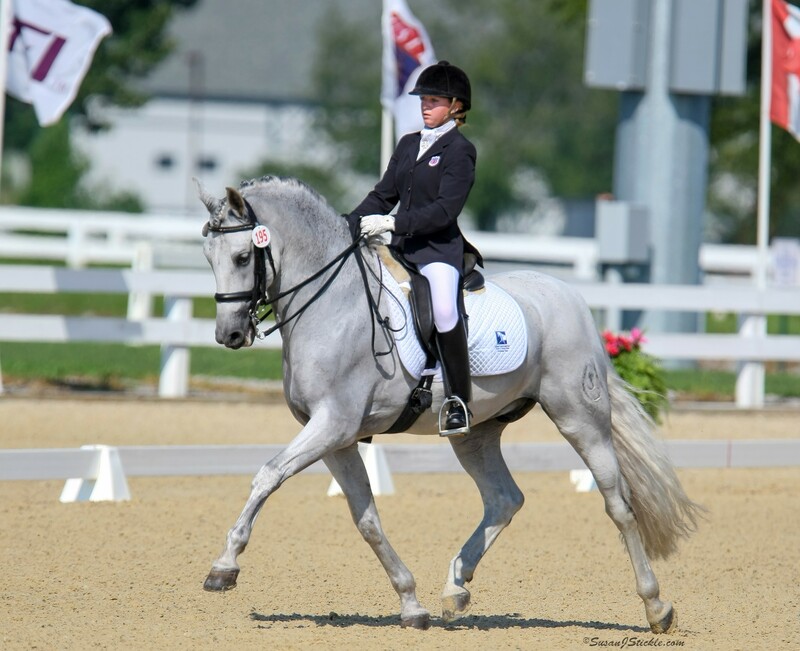 First came the news of winning one of the eleven Gifted Memorial Fund scholarships granted annually to Adult Amateurs in pursuit of dressage education. 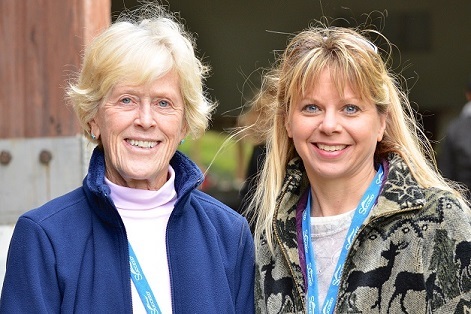 Then, quite coincidentally, came the opportunity to meet dressage legend Carol Lavell and thank her in person for her sponsorship of this wonderful program. My scholarship journey has really just begun. In fact my training week hasn’t even happened yet, but I’ve already gotten such enormous value from the experience! So when Ms. Lavell commented that “The money’s there. I just don’t understand why more amateurs don’t apply”, I was surprised and started thinking through the reasons Adult Amateurs may not take full advantage of the opportunity. Perhaps I speak for the many amateur riders out there bound by the reality of trying to fit their horse hobby into an already-overbooked schedule, juggling work, school, family, and myriad other priorities that always seem to take away from time with our horses. We may feel that because we’re not able to spend hours every day in the saddle honing our skills, somehow we’re not “serious” enough about dressage to be worthy of a grant. We’re intimidated by the idea of riders who immerse themselves in the sport and are able to dedicate copious amounts of time to riding, taking lessons, and showing. 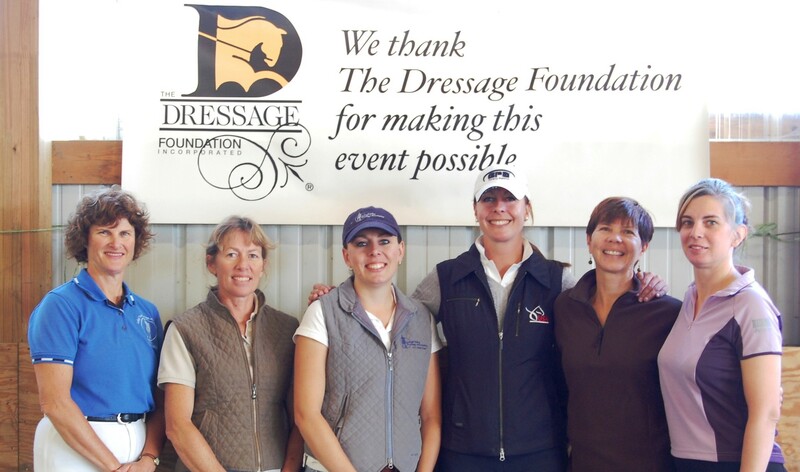 But Carol Lavell and The Dressage Foundation have crafted this scholarship exactly for people like us, the “reality bound” riders! It’s intended to provide the recipient with a chance to get away from the pressures of daily life to spend several days of concentrated time riding, training and just bonding with the horse. Spending time grazing your horse, pampering him with a leisurely bath, or just having the time to stand in the stall and scratch his ears are all part of the intended plan for scholarship recipients. Maybe just the thought of filling out the application is a bit intimidating. Rest easy, the process to apply is not nearly as daunting as it may seem at first glance. 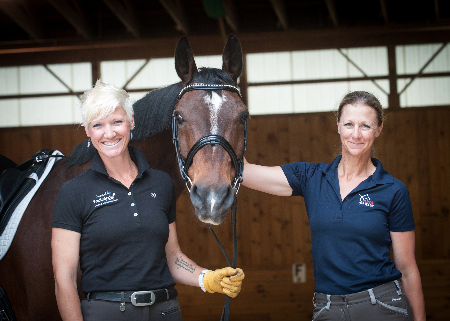 The Dressage Foundation’s website has excellent resources to assist, including an application checklist that details each bit of information required, step-by-step, and easily leads you through the process. One piece of information required is your training plan. You are encouraged to think about your riding skills and your horse’s level of training, as well as training goals for both short and long term. Then you need to document what you would do differently from what you do now to achieve those goals, should you receive one of the scholarships. I found this part of the application to be especially valuable as it forced me to become more analytical about current strengths and weaknesses, both for myself and my horse. This is a marvelous opportunity for introspection! And having those goals in writing helped strengthen my resolve and commitment to really make them happen. Much like writing down a fitness goal, or a weight loss goal, actually documenting your training plan makes it real and helps you stay focused on it so you’re much more likely to achieve success. Volunteerism is an important part of the selection criteria. Carol Lavell is a staunch believer in giving back to our sport and that is, in part, what led to the creation of the Gifted Memorial Fund. Volunteering your time to help beginner riders, holding an office for your local GMO, working on the newsletters, helping run dressage events and activities, are all ways you could get involved and there are countless more. We can each give back in some way and the intrinsic benefits received by giving of your time are immeasurable. So my fellow Adult Amateurs, whatever your reason for not yet taking the plunge into this wonderful opportunity, I strongly encourage you to go for it! The application deadline is September of each year. Regardless of the outcome, you won’t regret the experience. You’ll learn a lot about yourself just from the application process and you’ll find a renewed dedication to your horse and yourself. Who knows, your efforts just might pay off in scholarship dollars too!